Facebook ad sales are suspected to climb 45 percent this year to $27.6 billion, according to Thomson. This growth has helped push up its pieces more than 50 percent this year and made founder and CEO Mark Zuckerberg the world’s 5th richest person, according to Forbes. In a clearly critical public’s feeling towards an article that published Monday, Sandy Parakilas said Facebook “has no reason to police the collection or use of data,” on its users, given its market model of selling online ads. “I led Facebook’s attempts to fix privacy difficulties on its developer platform in progress of its 2012 initial public offering. What I saw from the center was a company that prioritized data collection from its users overprotecting them of abuse,” he wrote in the post. 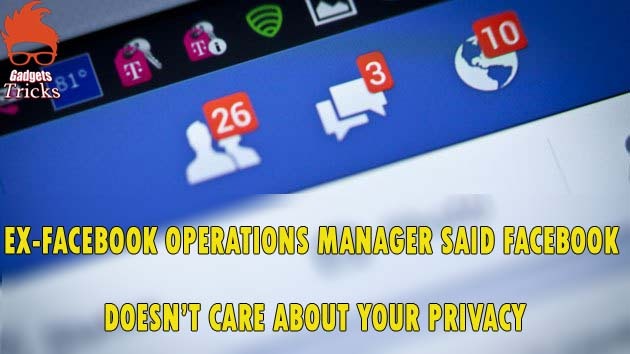 “The fact that Facebook prioritized data collection over user security and regulatory agreement is precisely what made it so attractive” to advertisers, wrote Parakilas, who operated as an operations manager on the platform team at Facebook in 2011 and 2012. “The information was clear: The company just wanted negative falsehoods to stop. It didn’t really care how the data was used,” said Parakilas, who is not the first former supervisor at the company to criticize it this year.